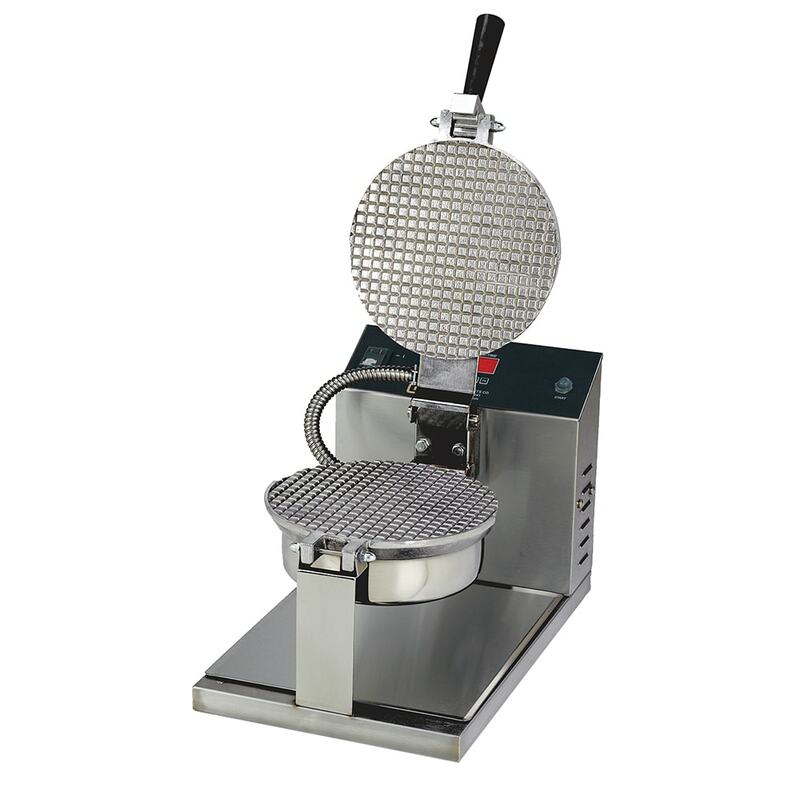 Make delicious waffle cones for your customers with the Gold Medal 5020E giant waffle cone baker. Constructed from stainless steel, this unit is designed to create consistently-baked, 8-inch waffle cones. With a new hinge design that ensures exact grid alignment, creating the perfect waffle cone is a breeze. The electronic temperature control and digital display timer make use easier and virtually hands off. The Gold Medal 5020E giant waffle cone baker has a cast aluminum cooking surface that provides excellent heat conduction.